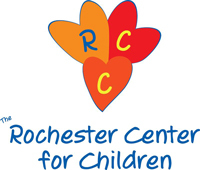 The Rochester Center for Children (RCC) is an integrated multidisciplinary program for children and their families. Currently, RCC is in the planning stages. Check back for updates on our progress and upcoming meetings. The new Center will include a team approach to services such as Applied Behavior Analysis (ABA), speech and language therapy, occupational therapy, physical therapy, family & sibling support, remote tele-health, social inclusion, and much more. For information about our current ABA therapy program please visit Rochester Center for Autism Services. Rochester Center for Autism, Inc.
We can help set up specific goals you would like to achieve for your child and family.